The Valentino Rockstud pump is a gorgeous shoe! It has a feminine silhouette that is balanced out with its stud detail and is versatile enough to wear with more than a few outfits. However at a steep price tag, it can be hard to justify the cost even if you do wear them all the time. 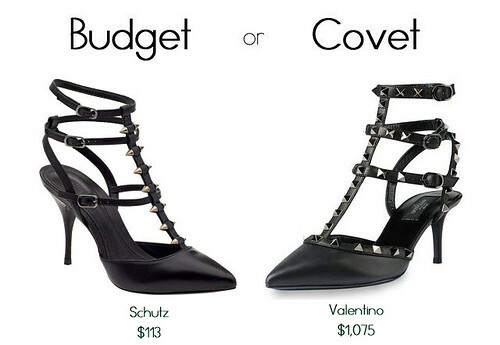 At a fraction of the cost though, Schutz has shoe that looks very similar to the Valentino Rockstud. It has the same style appeal, but is much friendlier on your wallet.